RDS Technology will showcase its range of on-board weighing systems for Forklift trucks - the Liftalert, Liftlog 100 and the Liftlog 100+. These systems offer load monitoring and weighing functions with an internal alarm to warn when load threshold is approached and at the overload point. The Liftlog 100+ also offers a totalising feature, making it suitable for applications where multiple pallets are to be check-weighed or loading storage systems where weight limits are to be adhered to. 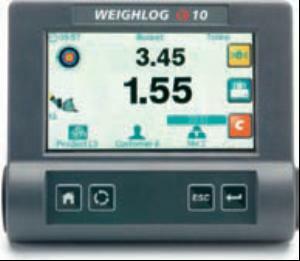 RDS also offers more advanced on-board weighing solutions for forklifts, including the new WEIGHLOG a10 system.